Another Home Sold by Premiere Team Real Estate - Backyard paradise! Covered patio w/ceiling fan & outdoor kitchenette featuring mini fridge, built-in bbq grill & island for bar stools. Stone walkway to relaxing built-in fire pit & koi pond. Great for entertaining! Loaded w/ upgrades inside & out! Gorgeous hardwood floors, open kitchen w/granite counters, new appl and walk-in pantry. Entire home (inc. bedrooms & outdoor patio) wired for surround sound. 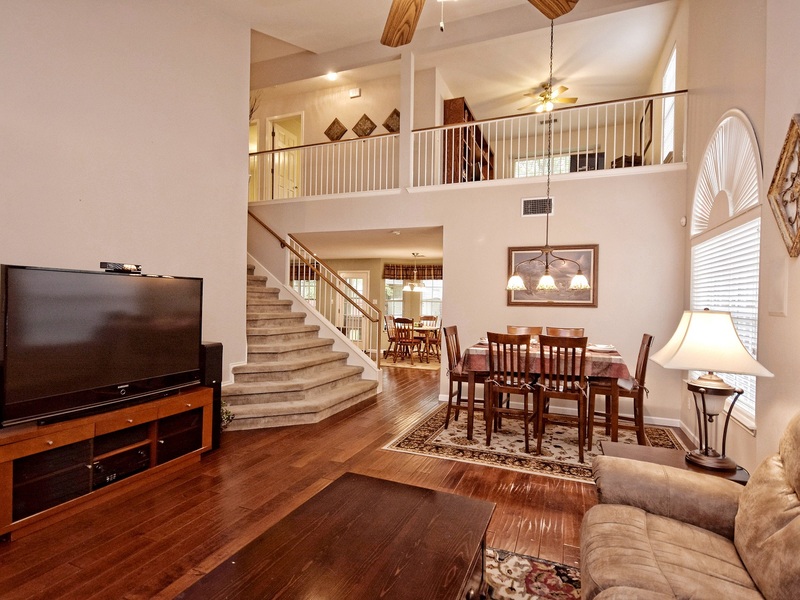 Separate AC for downstairs & upstairs, fresh paint inside & out, & sprinkler sys.